#MeToo movement reaches Pakistan as more women come forth against Ali Zafar of groping and forcibly kissing them after Meesha Shafi raised her voice. Popular singer and actor Ali Zafar, who was accused by Pakistan songstress, model and actor Meesha Shafi a day ago for sexually harassing her on several occasions, has come out in his defense denying all allegations leveled against him by his colleague, saying that he will take the matter to court for being defamed. He took to his Twitter account to post a letter, stating that he would take the legal route and sort things out for himself instead of giving out clarifications to those who are talking against him and trying to malign his image and that keeping mum would not serve a cause any longer. Ali Zafar, who has a successful singing career, apart from his acting stint in several Hindi films, many of which did well at the box office, also said that he is aware of the worldwide #MeToo campaign and knows what it stands for. Taking the clichéd route he also posted on his official Twitter handle that being a husband, son and a father of two children, he has always taken a firm stand whenever it came to defending himself as a public figure. 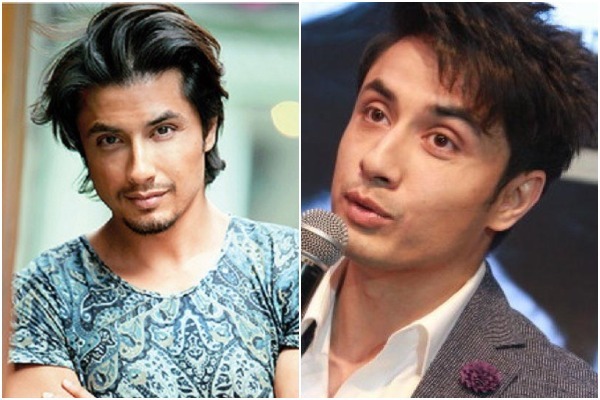 Seems Ali Zafar has been caught on the wrong foot this time, as many other women have started speaking up against the Pakistani actor for assaulting them sexually, after Meesha Shafi spoke up since she couldn’t bear with the traumatic experience any further. Let’s wait and watch what comes out of this entire mess. Important day for #MeToo in Pakistan. It's taken months and months of discourse and revelations on harassment to finally get to the industry's Weinstein moment. Let' hope and make sure #TimesUP for Ali Zafars and Khalid Bajwas. More power to you #MeeshaShafi.